Greetings Friends and Family: We are looking to assist this precious family with support for their medical expenses. Little Jolee Manis is a beautiful, and very smart, 2 1/2 year old. She has been experiencing medical issues for several weeks prior to being diagnosed with an invasive brain tumor. She is currently being treated post operatively at Vanderbilt University Hospital in Nashville, Tennessee. While the team did their best they could not get all of the invasive malignancy, which was also found in Jolee's brain stem. It’s important to keep Jolee's mommy and Daddy (Jennifer and Michael Manis) with her during this crucial recovery. Our hopes and goals are to support this family through this most difficult time. Please send your blessing and prayers out to this little girl as she is fighting this condition. We are very hopeful to get over this hurdle and get them back to a normal life again. Jolee has remained so strong throughout her journey but she doesn't do anything simple. 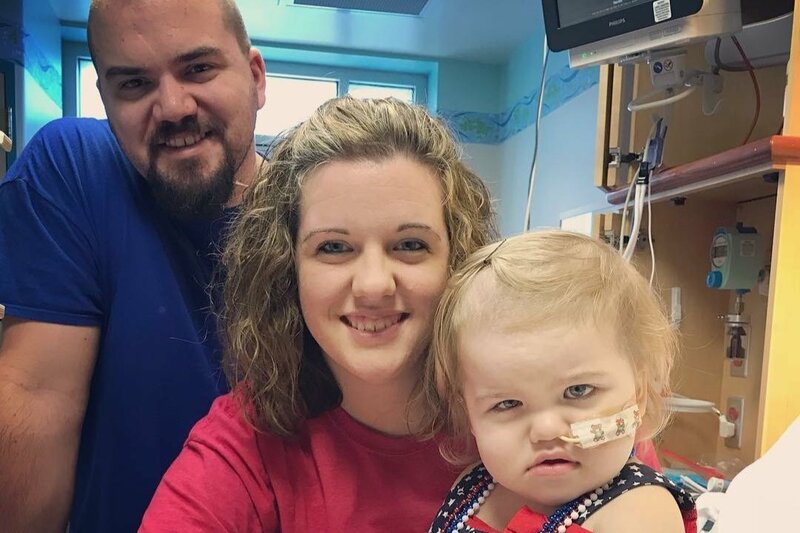 During her third round of chemo in August 2018, she developed a severe infection that left her unable to get chemo for 3 months. In November, she was started on an outpatient regimen of chemo. It was so nice to be able to go home after treatment and not stay overnight. Unfortunately, her MRI on Feb 6th revealed that the chemo was not working as well as hoped. She has new enhancements in her brain and two new places in her cervical spine. All of her doctors agreed that radiation would be the best course of action. She is so young and radiation was avoided as long as possible. She will be receiving proton therapy at a location fairly close to home. She will get 31 treatments and going 5 days a week for 6 weeks. Radiation is set start by the first of March. Mom and Dad are both off work to be able to be with her and help her get through this next phase to get this thing beat! Help is appreciated but most of all, we desire prayers! God bless!! Jolee has completed her second round of chemo at Vanderbilt. She has done well overall and is so strong! In the next week, she is scheduled for placement of a catheter that will be placed in her leg to harvest her stem cells. She will undergo an Autologus Blood Stem Cell Harvest and then transplant. 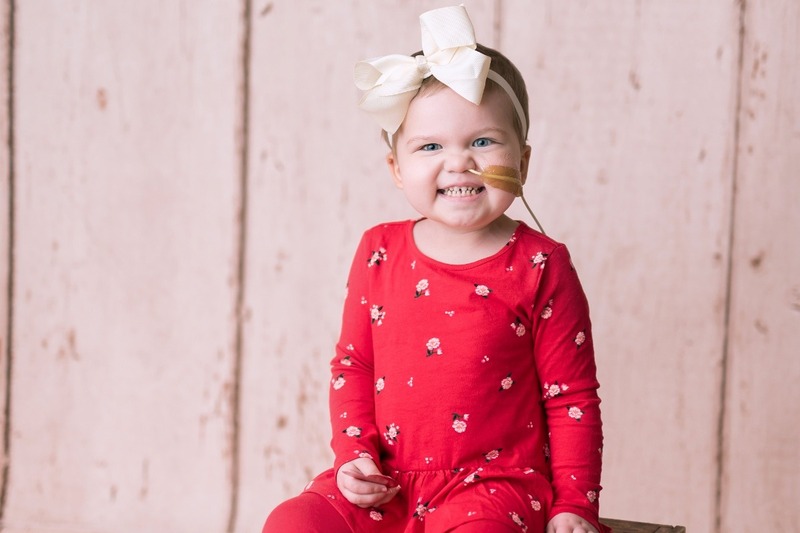 Jolee receives high doses of chemo and the likelihood of her cells recovering on their own after several rounds are very slim. She will have her own stem cells harvested, stored and then given back to her at a later date. Once the chemo is finished, she will get her own stem cells back where they will start to grow, mature, and replace the destroyed cells. Jolee still has 2-4 more rounds of chemo to go. She will get a repeat MRI of her brain and spine after the third round of chemo, but after the last scans/tests, there were no indications of disease!! She has dealt with the yucky side effects of her chemo but still manages to smile at you at the end of the day. The family is so appreciative and humbled by all the help so far. Support is still needed as the family is down to one income and that income is working at less than full time hours. Most importantly, thanks for the ongoing and continued prayers. The folks at Vanderbilt have been pretty amazing during Jolee’s illness, This is of course home away from home a lot of the time for Jolee and her family right now. Please continue to pray for Jolee and her family. Now is the time they need the additional support both spiritually and financially. They are starting to get numerous medical bills and expenses due to travel and time missed time form work. All Prayers and Donations are most welcome. Thank you for your support and spiritual blessings. Jolee's Mommy and Daddy received some great news yesterday! God is Good! Little Jolee 's procedures resulted with no current signs of malignancy being seen postoprrative. She still has a tough fight through Chemo and rehabilitation but she's a fighter. Please keep this sweet family in your prayers. Feel free to share this as they are still going to need help with all these Medical expenses. Yesterday Jennifer and Michael received the pathology from Little Jolee's procedure. It came back as Medulloblastoma, as the doctor had suspected. Please keep them in your thoughts and prayers and they endure the next steps in Jolee's treatment plan. Please keep this beautiful and strong family in your prayers.